In August of 2011 Maryanne Lakeman, an education consultant from south west Sydney, led our staff through a course called, Improving Outcomes for Students – Why Parents and Community Matter. 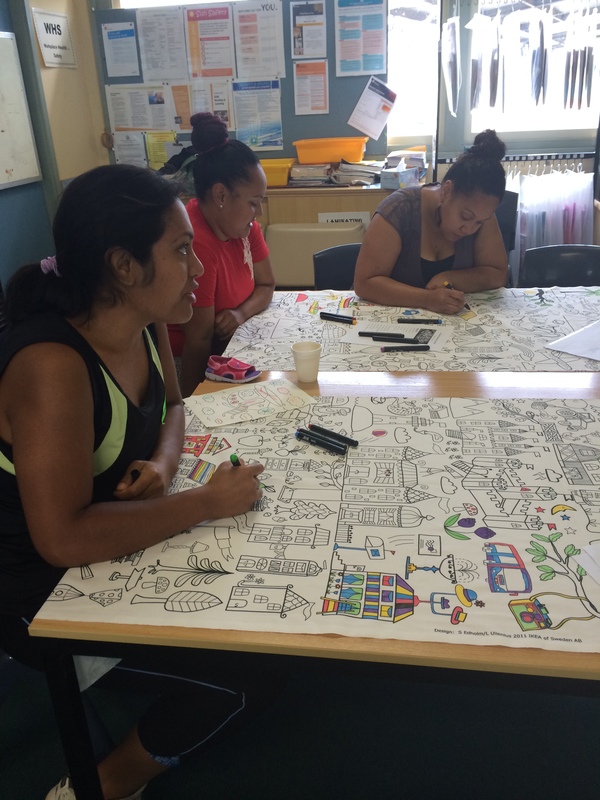 The purpose of this course was to assist teachers in low socioeconomic communities to reflect on their school’s strategies on school and community engagement and how this linked to improved student learning outcomes. Out of this was born the Parent Group at our school. At first it was called Adult English Classes and its purpose was to teach English to our parents from a non- English speaking background. The plan was to help our parents to learn English so that they could be more involved in their children’s education.See Adult English Program Rationale . We began with four Vietnamese parents, one Lebanese auntie, an Assyrian speaking mother, a Greek mum, a Serbian mother, a Samoan mum and two Cambodian mothers. The parents enjoyed themselves and they kept coming. I tried to make it interesting with games and role play but the lessons were hard to differentiate for so many different people. Some were serious about learning. They retained what they learnt and asked questions. Others were just enjoying being away from household chores and behaved like naughty schoolchildren giggling and distracting and tuning in every now and again to ask ‘what happen’? The biggest problem of all were the preschoolers who were not happy to just play – they liked to climb, pull things apart and they didn’t listen to their mums at all. That was 2011. Come 2012, we had a new Principal ( @MansourNatalie)who lavished upon us a Community Liaison Officer and a babysitter! Together the Community Liaison Officer (@lchung02) and I decided to rebirth the English Classes as Parent Group and we invited all the parents of the school to come to learn about how and what their children were learning at school. Parents’ Program With a new mix of parents, as some of the others had moved on to TAFE, the workforce or to different neighbourhoods, we started a program that taught the parents how to do things like; read to their children, do maths around the home, look after their health and parent their children. We began by being quite structured . Parents’ Program Week 2 , but by the time 2013 came around we were feeling quite at home with our group and the routine. 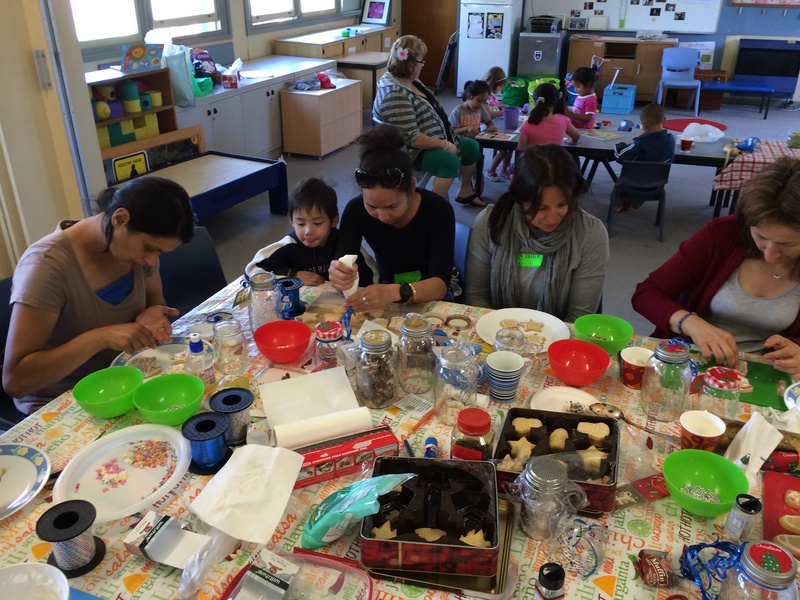 While I was teaching the Kindergarten Language Group from 9.00 to 9.30 the parents would drift in, chat to each other, our babysitter Julie or our Community Liaison Officer, Linda Chung while they made themselves a tea or coffee. Then we would begin by sharing news (a little like Kindergarten does) and addressing any questions or problems before launching into our activity for the day. A sample of one of our term’s timetables is here. Parent Program Term 1 2013 By this time we were involving the parents in running the program, teaching us something of their own culture. The premise behind this was that they would be using their language, learning new language and getting to know and appreciate each other more. We had some cloth for the parents to colour while they were chatting. They enjoyed this as it meant they had something to do while they listened or thought of what to say. At the end of 2013 our Community Liaison Officer, Linda, started a family of her own, and we were fortunate enough to persuade another CLO, Sharon, from Warwick Farm P.S. to take her place in 2014 for two days of the week. The parents felt quite at home with Sharon and our group metamorphosed again taking in new parents with others moving on. ( Parents’ Program 2014) Interestingly, two parents have been with us since the beginning and are our loyalist members. For them, Parent Group is one of the best hours of the week – well, that’s what they tell me. At our End of Year Celebration this year we had about eleven mothers. One, who has only been coming in term 4, even though her children have been at the school for years, brought a photo of her father with her children. He had passed away in May of this year. Her trust in our group was not in vain. Everyone passed the pictures around, said kind things and gave her hugs. Another mother was there after having had a recent operation. Her only visitors to the hospital had been mothers from our parent group. One mother had an interview with one of our teachers and was so nervous that she couldn’t participate in anything or eat that morning. I accompanied her to the interview to give her confidence and now I am her ‘best friend’. There are many other heart warming stories about the success of this group to bring our community together and give our parents a chance to have a voice. But what to do about next year? Things have changed. We no longer have enough money to employ a CLO or babysitter. The EAL/D allocation has been cut and my job description has changed. Next year I will be giving teachers relief from face to face teaching and will be on class on the usual ‘Parents’ Group’ day. We are going to try to find a time for the parents to meet informally but until the timetable is sorted we will not know when or how. If anyone reading this has any inspiration for me on how to use a random time slot to help continue this little support group I would be very appreciative. As one mum said to me, “If only smiles, laughter and commitment were our currency” …. Thanks Aaron. One of my Chinese mums who is a bit tech savvy spends her time using the translator on her phone. I’m not sure if this slows down her memorisation of English because she is not relying on her own memory to pull out the vocabulary but it helps us to communicate. The other parents would have to be taken slowly through the digital minefield. They are great with their phones. Maybe this would be a way in. Our school is on Facebook, Twitter and we have the skoolbag app. Maybe we could help them to use these things to tap into what school is about. Thanks for the ideas Aaron. ← Is 21st Century Learning just Quality Teaching by another name?